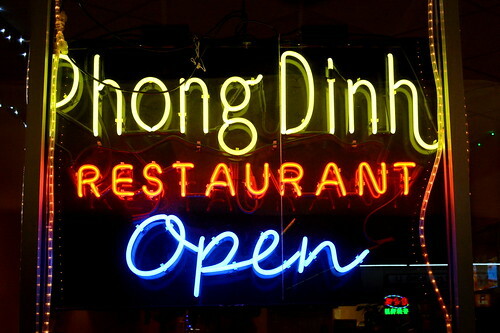 A recent girls’ night out brought me and my gal pals to San Gabriel’s Phong Dinh Restaurant. I’m not sure what constitutes a roaring good time for you and yours, but for me and mine, it’s a killer baked catfish. I roll with the best posse ever. 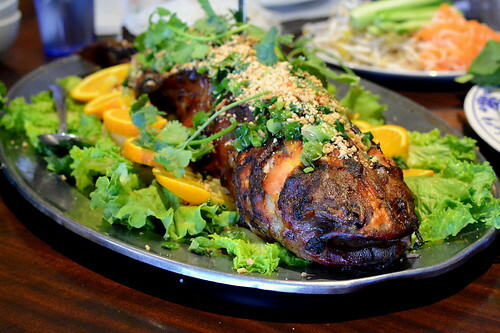 Thien An in Rosemead has always been my go-to spot for baked catfish, but we decided to try Phong Dinh this evening at the recommendation of my friend Thien. She promised that the catfish here was even better than the one at Thien An. 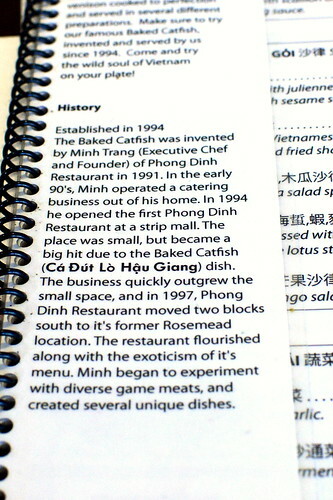 According to the restaurant’s menu, Chef and Founder Minh Trang was the first to introduce baked catfish (ca dut lo hau giang) to the area in 1994. Before the star of the show arrived, accoutrements were scattered about the table—a large platter of herbs and lettuce, pickled carrots and daikon, cucumber spears, vermicelli rice noodles, rice papers, and best of all, a tangy-sweet tamarind dipping sauce. Our waitress revealed that the recipe for the sauce came from her aunt, who hails from Can Tho. 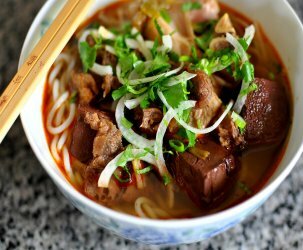 Now that I’ve experienced this seriously awesome sauce, I can’t ever go back to eating plain ol’ nuoc cham or mam nem (fermented anchovy dipping sauce) with my catfish. Consider me a changed woman. We called in our catfish order ahead of time to make sure that it would be ready upon arrival. 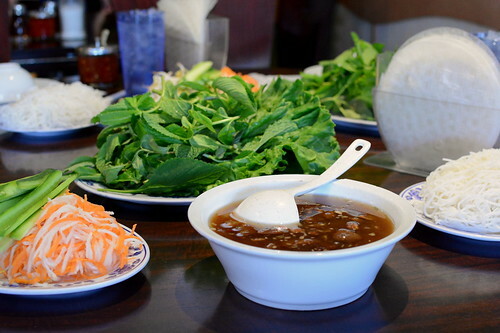 As soon as our butts hit the seat, the ca dut lo hau giang made its appearance. Hello, Beautiful. The fish’s prized crispy skin, charred in some spots and golden throughout, gave way to moist and tender flesh imbued with honey and turmeric. Crushed peanuts, fresh cilantro, and scallion oil were heaped atop the fish. Strewn around the edge of the platter were romaine lettuce leaves, orange slices, and my favorite, rings of caramelized onions. We garnished, wrapped, and dipped to our hearts’ content. All that was left was a pile of bones when we were through. Delicious. We ordered two additional dishes to supplement our enormous catfish. 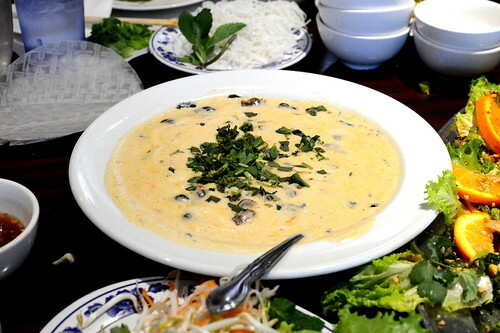 First up was the oc len xao dua ($12.95), “telescope mud creeper sea snails” bathed in a rich coconut broth. 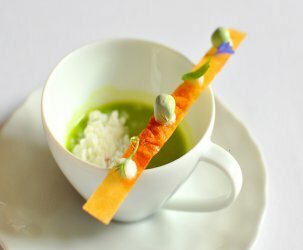 It was quite fun slurping out the snails and sipping the broth. 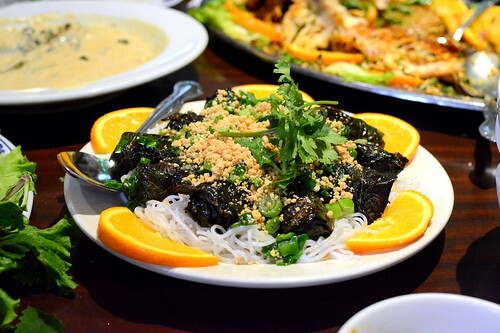 And finally, an order of bo la lot ($12.95), seasoned beef wrapped in fresh betel leaves. The ratio of meat to greenery was skewed toward the latter, which made for some intensely grassy bites. 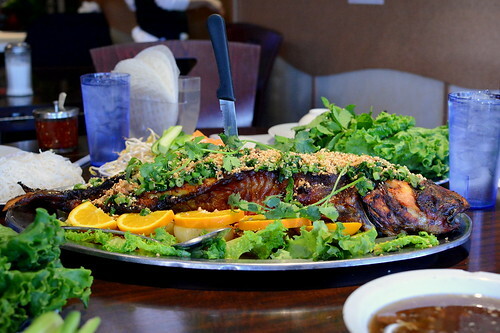 Phong Dinh’s baked catfish was as stupendous as promised, especially paired with the tamarind sauce. The Astronomer will be graduating from Caltech next month and we’re planning on coming here immediately after for a celebratory feast with our families. Baked catfish and PhDs, sounds like a good time to me! This is their new location. They relocated here about 2 years ago after they closed their old location on San Gabriel Blvd and Garvy Ave. It’s a smaller place with a slightly reduced menu, but still just as good. 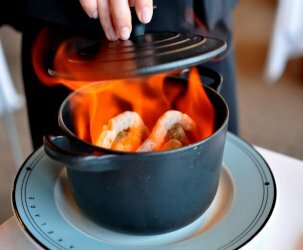 Their previous place had a lot more game and exotic meat on their menu, however people usually order the staple and this place focus on the staple. What an impressive presentation for the fish; it looks huge! I’d try this. Darin – The catfish is truly excellent! Let me know if you’re up for trying it, I will join you.